(Don't worry, he corrects the Blofeld/Goldfinger error in a reply). 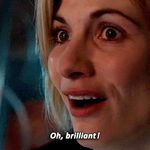 The 007 actor is said to feel like the script is in need of some “polishing”, and wants to introduce more "humour and offbeat" writing to the project, something that Waller-Bridge is best known for. bjmdds wrote: The 007 actor is said to feel like the script is in need of some “polishing”, and wants to introduce more "humour and offbeat" writing to the project, something that Waller-Bridge is best known for. Considering the "lightness of touch" Craig insisted on in SP, I don't hold his opinion on humor in too high regard. babs has allowed Craig to supposedly have input in the stories and who’s hired to write it. He even claims credit for the stories when he think it’s a critical success, or will be praised by the right circles. I wonder if he really has the input pr says, because the wonderkin writers who has the right perigee are never allowed to make the movie they pen, some excuse is invented to polish the script up with the end result P&W are brought back. That seems like with Eon or studio pumping the brakes not Craig using his creative control. One could argue this is evidence that Craig does indeed have the input he claims. Think about it, Boyle an auteur director who actually wants story control unlike Mendes is let go for "creative differences." Boyle said going in the caveat would be he films his story and only his story. Next thing you know he's out on his arches and known hacks P&W are back in. Does that sound like the act of a studio, a studio whom I'm sure were given at the very least a superficial framework of what he wanted to do before bringing him in? A studio who would love the added distinction such a film maker would add to the production? A studio who is already behind schedule? Or does it sound like the act of a pretentious overly empowered star, with the executive producer wrapped around his finger, who felt the material didn't jibe with his grandiose interpretation of the character? Good point. My only counter would be if babs and mgm got cold feet on killing bond if that was Boyle’s intent. Omega wrote: Good point. My only counter would be if babs and mgm got cold feet on killing bond if that was Boyle’s intent. I may be wrong but I thought it was implied Babz and Craggy were the ones who were keen on the death plot and Boyle was against it? You know I’m not sure if I read it or not, but I thought one of the rumors was Boyle quit because they wanted to change direction. Far as Craig it was also rumored he wanted to kill bond on screen instead of just reality. So I’m not sure if true at all that Boyle and Craig were not on the same page then studio steps theory takes place, Craig is in it for the payday and chance to maybe get some arthouse send off. I think you're absolutely right O, Craig has been chasing CR for the last decade and a half rather than growing into a fully fleshed out interpretation of his own. 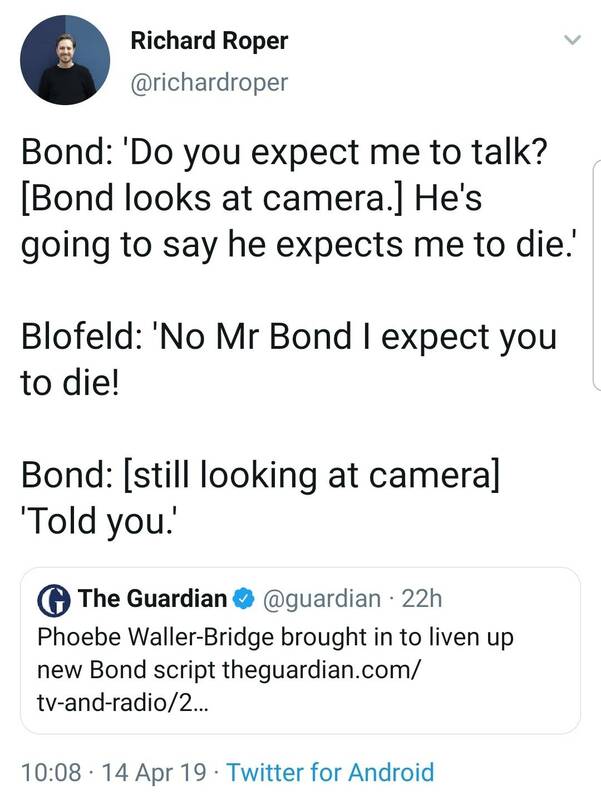 He's basically playing the same perpetually pissed off sour puss he did in CR and ironically CR was supposed to be "Bond begins" which infers he's going to become more Bond over the years rather than stagnate. I think you're spot on about Lazenby, I don't dislike him ether but he definitely benefited from a top notch script and had he stuck around as the writing got a bit shall we say cornier IDK his reputation would have fared as well.